Another member of the Lutjanus family, Moses Perch can be found right throughout tropical Northern Australian waters and can inhabit tidal rivers and estuaries, rocky foreshores, coral reef and islands. A pretty pale pink to olive green fish, it is easily distinguished by its black “thumb print” like mark near the tail and various stories abound about the origin of the name and its obvious Biblical connections. 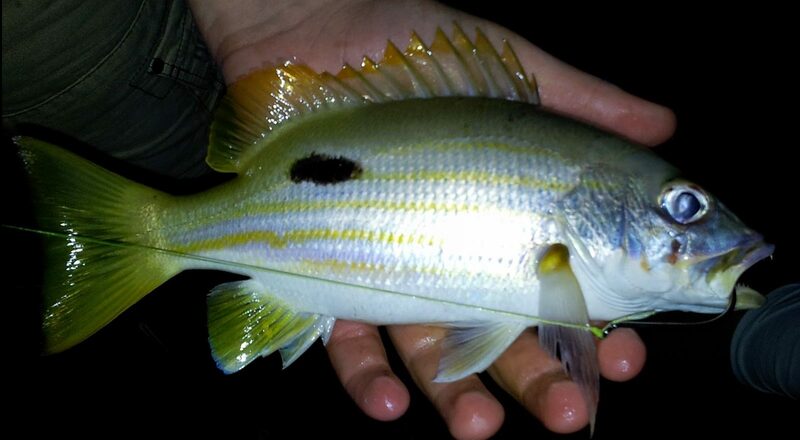 Moses Perch can grow to over 500 mm but most commonly caught specimens are much smaller, usually half this size. They will readily take quite large baits meant for much bigger prey while reef fishing and are very aggressive by nature. Dozens can also be caught from any structure located within the tidal reaches of our rivers and estuaries. A good pan fish, size limits do apply.